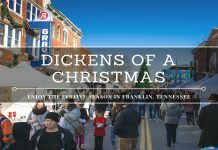 Located in the heart of Tennessee, Franklin is a historic town that is frequently left in the shadow of nearby Nashville. Having spent an amazing weekend exploring this beautiful city, we can well and truly attest this should be on your radar if it’s not already. 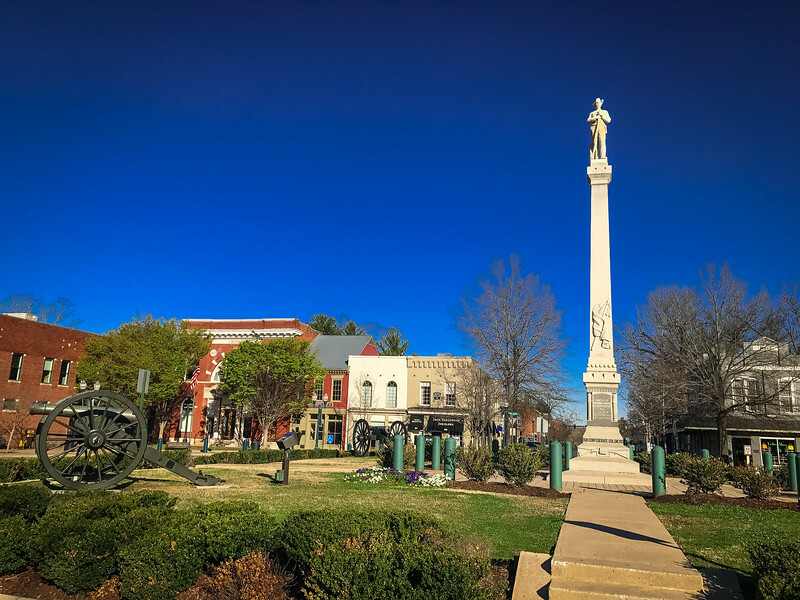 Franklin, Tennessee is rich with history and culture, while offering plenty of other reasons to inspire a return visit to this beautiful area. 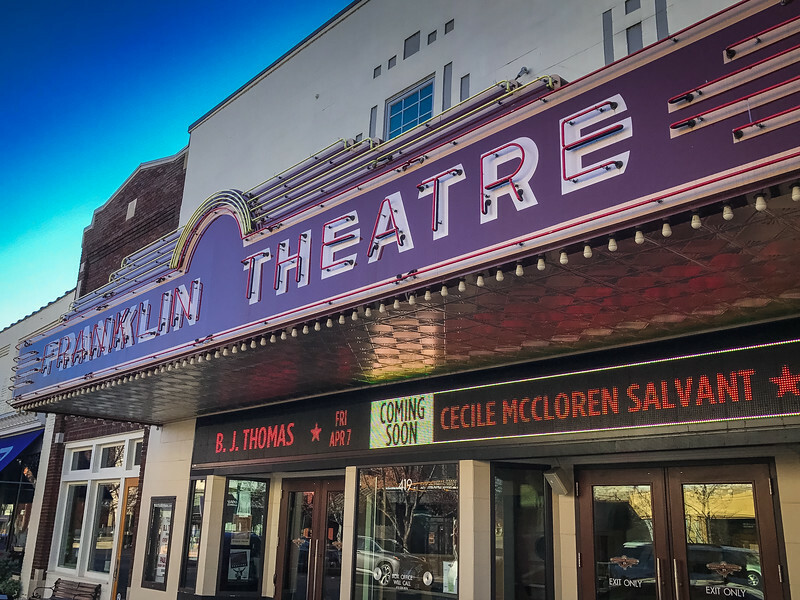 If you are looking for the top things to do in Franklin during an amazing weekend getaway, keep reading! Have you ever visited a “smaller” town just outside of the hustle and bustle of a major city and realized that life there is just so much better? That’s the exact feeling we had when we visited Franklin. We love to explore and experience as much as we can during a weekend but when you are heading to a city, it’s frequently difficult given that you are faced with challenges such as heavy traffic, inadequate public transportation or simply an overwhelming list of attractions that you don’t know where to start. But Franklin isn’t a high profile metropolis and instead, it’s a quirky and beautiful town where you can experience A LOT during 48 hours! Let’s take a look at how we enjoyed our recent weekend break in this part of the Volunteer state. 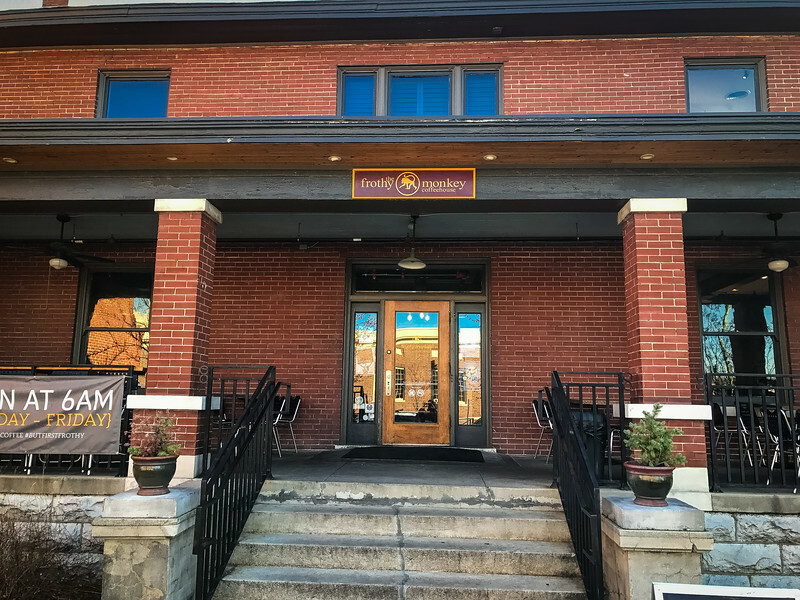 Before venturing out into the top things to do in Franklin, I’m sure you may be interested to find the perfect spot to stay overnight while in this area. 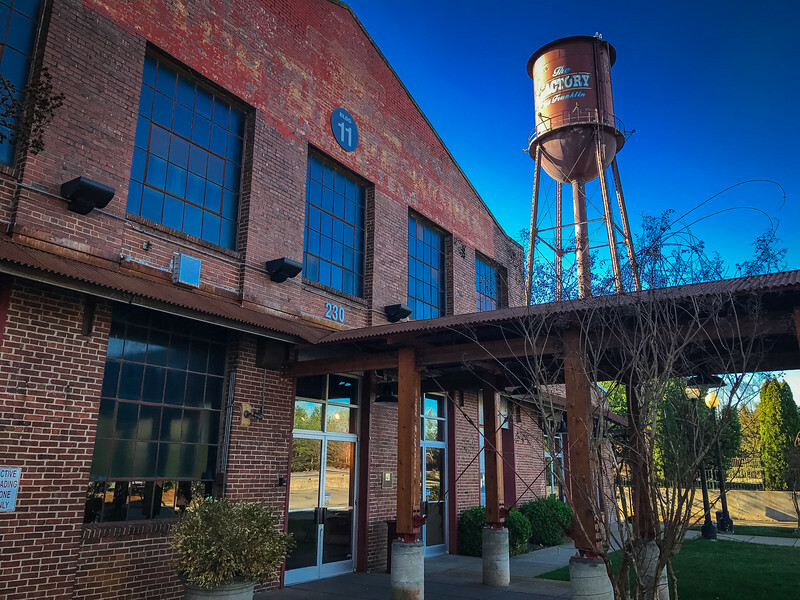 Where to Stay in Franklin? 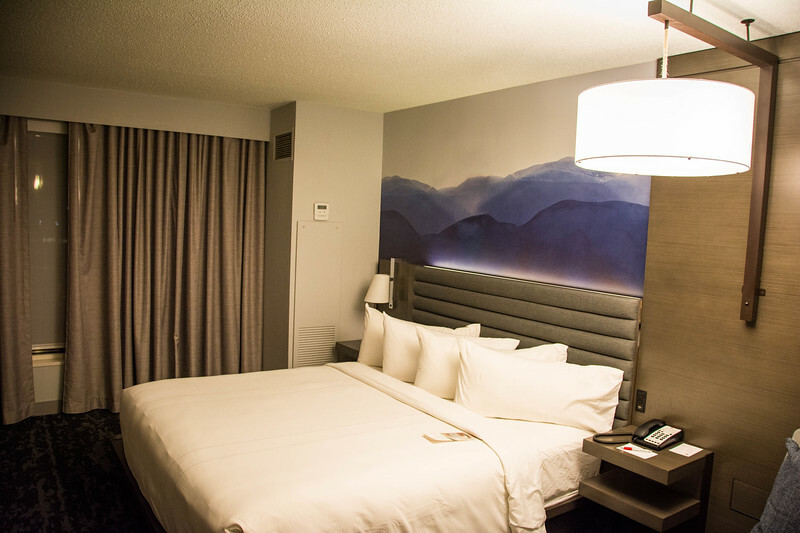 Franklin may not be the high-profile destination like other parts of Tennesse such as Memphis or Nashville but there are still plenty of places to stay. 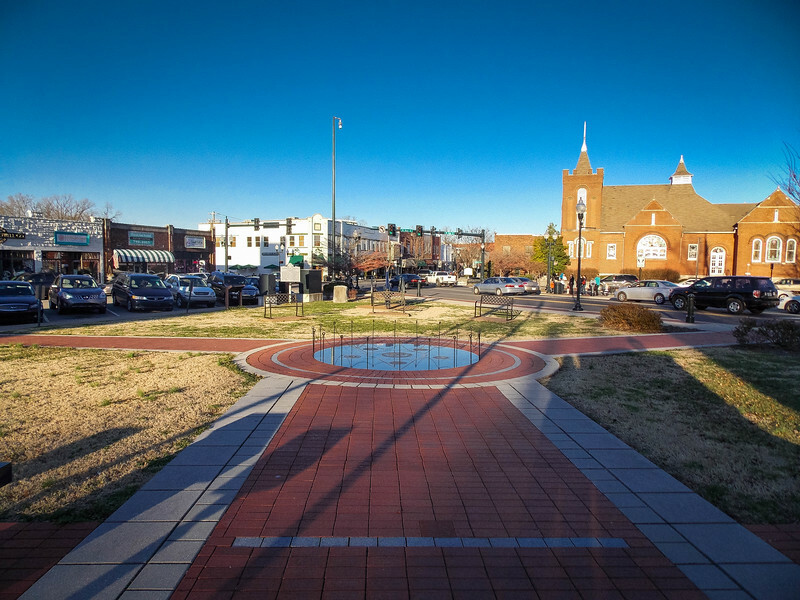 Whether you are looking for a spot close to historic downtown or prefer to enjoy somewhere closer to Cool Springs (a suburb of Franklin renowned for plenty of places to dine and to sample retail therapy), you won’t be short of options. 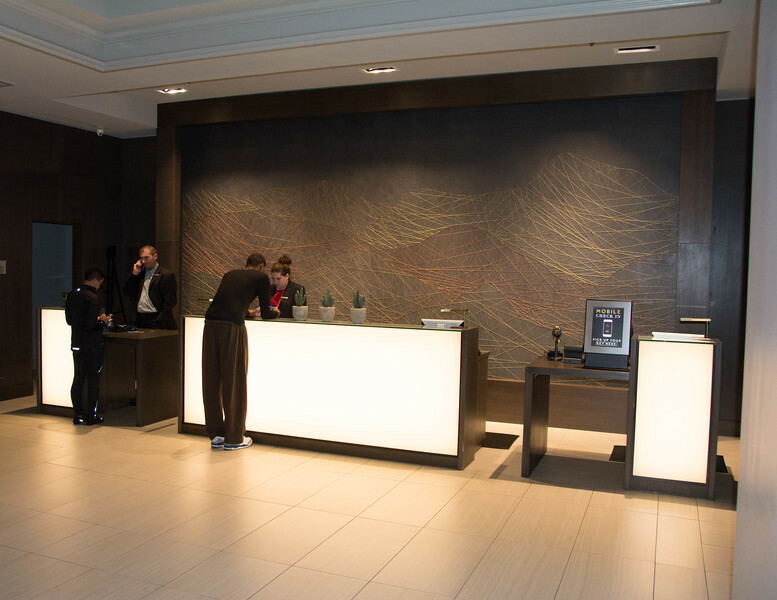 Our weekend accommodation was the spectacular Marriott Franklin Cool Springs which has recently undergone renovations and is certainly a gorgeous option in a great location. 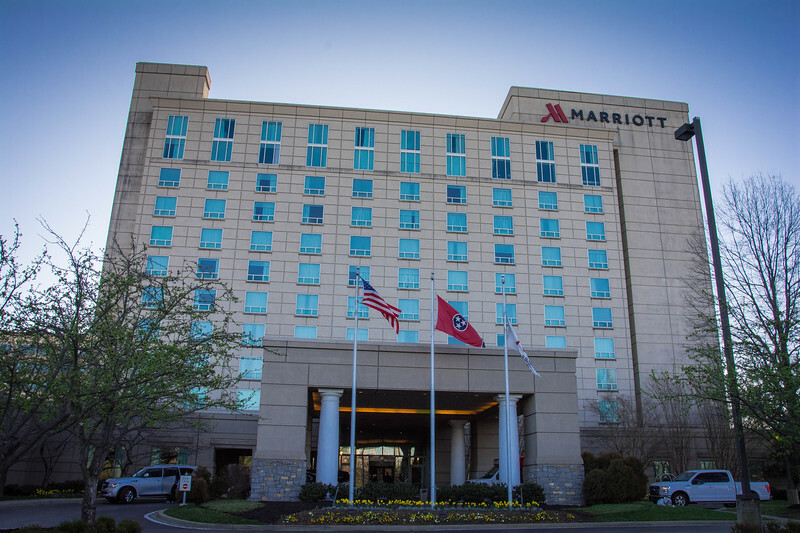 Just a few minutes from Cool Springs Galleria and a myriad of local and chain restaurant options, the Marriott is a hotel we can highly recommend if you plan a trip to Franklin. I LOVE the philosophy advertised by the hotel on their website! 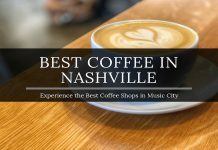 I certainly agree after staying at this location that your experience in Franklin is certainly energized and you are raring to get out and explore the inherent history throughout this town. I have to admit, given the luxurious accommodations available at the Marriott Franklin Cool Springs, it’s tough leaving your hotel room or the myriad of amenities available. 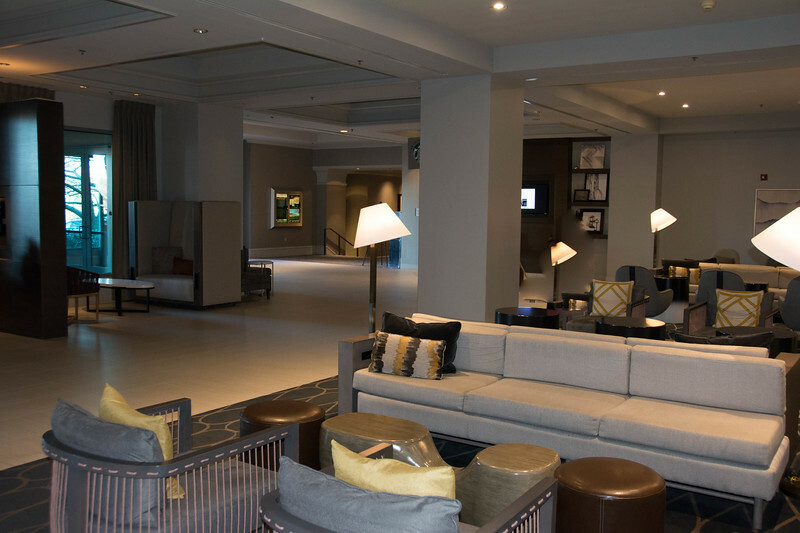 Please let us take you away from the luxury lifestyle of the Marriott Franklin Cool Springs and head into Franklin to find out more…don’t worry, there are plenty of “luxury” hotspots around this town to entertain yourselves! 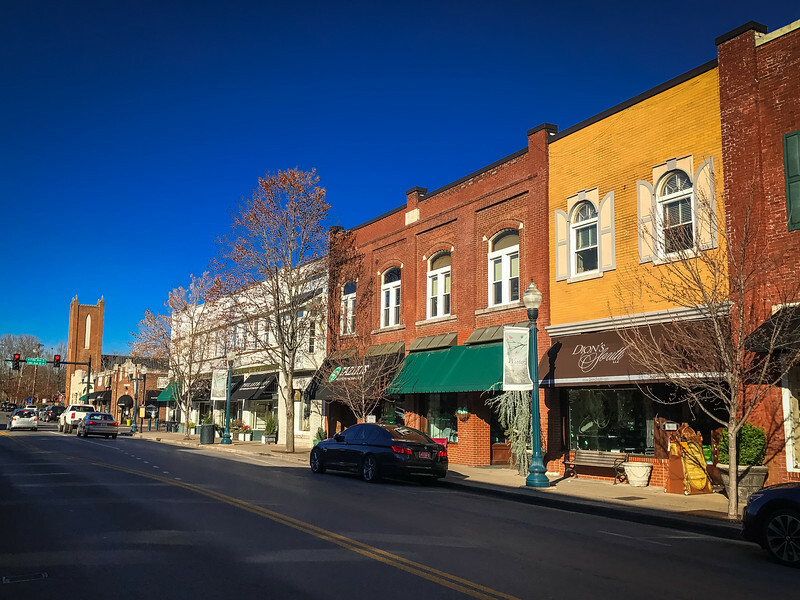 Here are some of the key reasons to visit Franklin but as always, there are plenty of other things waiting to be discovered. History buff? 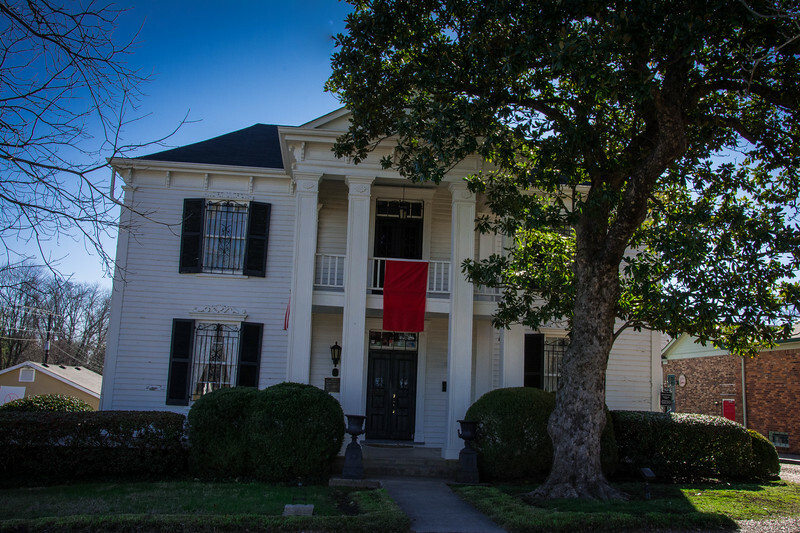 Franklin has you covered with the history surrounding the Battle of Franklin! Architecture aficionado? Franklin has you covered in Historic Downtown! 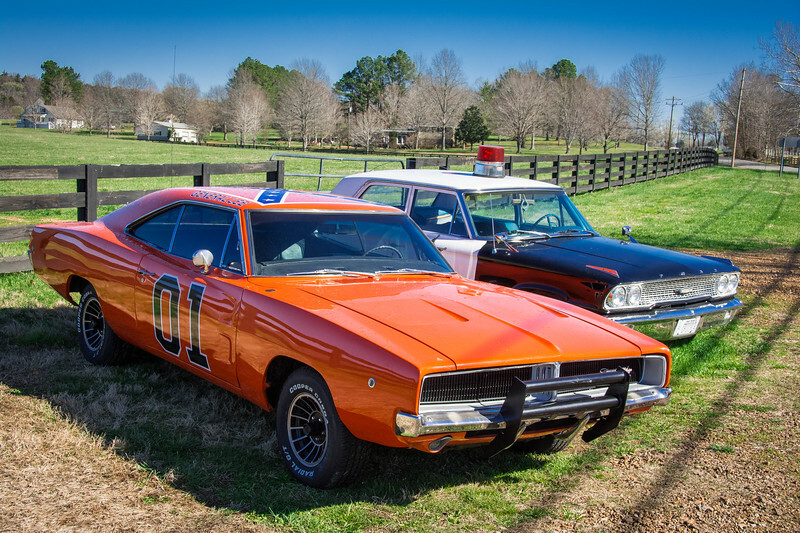 Ready to experience a quirky town, home of many iconic country stars? Franklin has you covered at Leipers Fork. Enjoy sampling craft beers from local breweries? 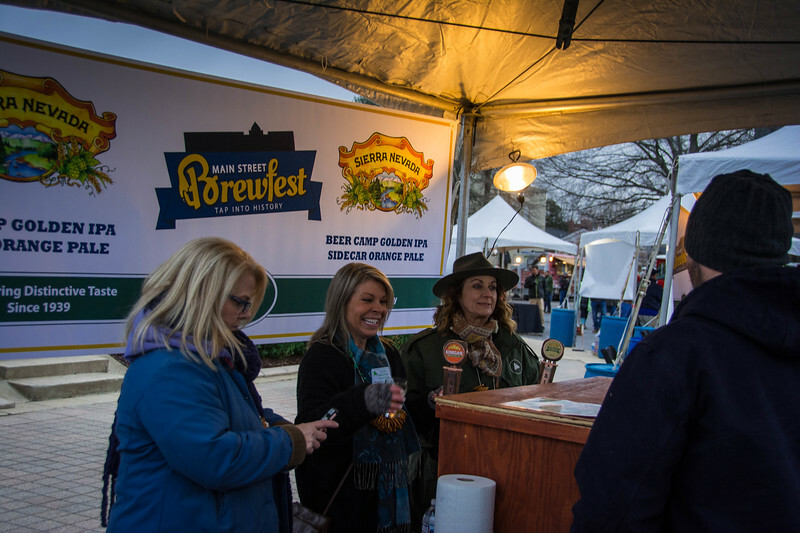 Visit Franklin in March to enjoy the Main Street Brew Fest. Even if you are an avid historian familiar with the American Civil War during the 19th century, you may not be aware of the historic Battle of Franklin that took place on November 30, 1864. The nearby city of Nashville had been taken over by Union forces and the Confederates knew that in order to have any opportunity to reclaim a grasp of the Civil War, they had to retake this key location. Many believed that Franklin was a ‘safe haven’ given that there was no real need for either side to fight for this location. It’s proximity to Nashville meant that it was a spot that both forces would have to pass through as they made their way north. 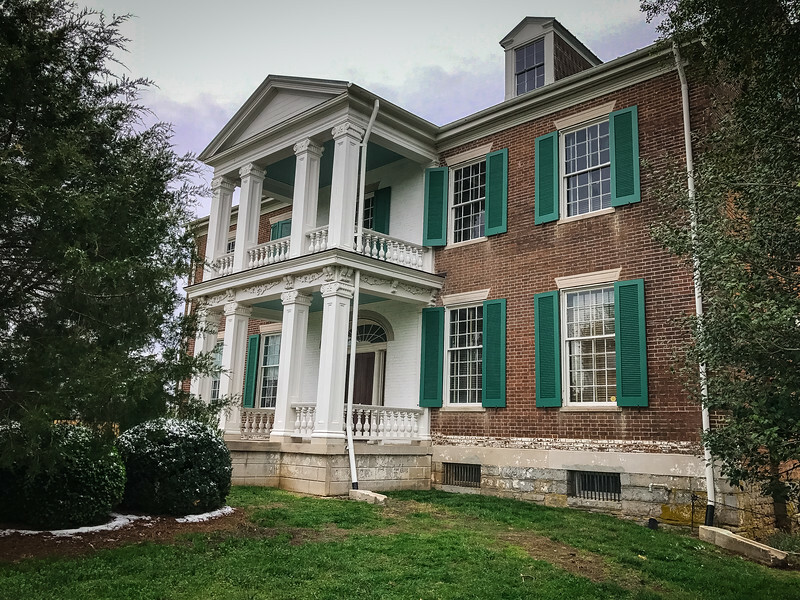 However, as the race to Nashville intensified, Franklin became the historic spot where battle commenced, primarily because of both sides having to cross the Harpeth river. When the Union forces arrived and tried to cross, they realized that all the bridges were destroyed so had to set up their base and prepare bridges for the thousands of troops and vehicles to cross. This allowed the Confederates time to arrive and subsequently, the bloody battle commenced. 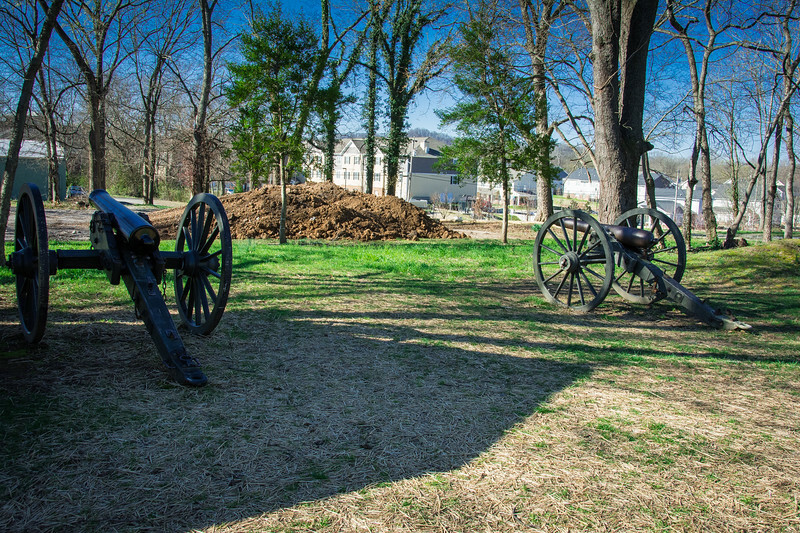 Today, Franklin offers an opportunity to take a look at several iconic locations that were at the heart of the “Battle” and guided tours of these, provide an opportunity to gain a deeper understanding of why this town quickly became an integral part of the American Civil War. 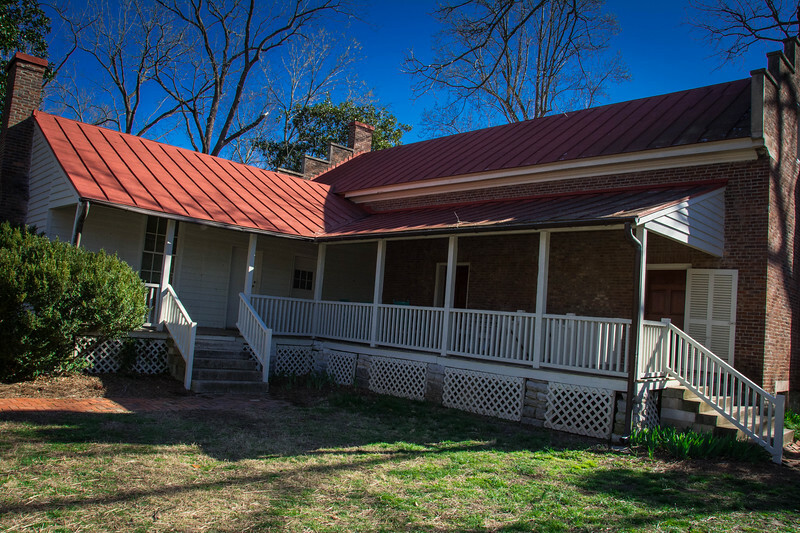 There are actually three different civil war sites that can be toured including the Carnton Plantation, Carter House, and Lotz House. We opted to experience just two of these by visiting the Carter House and later in the day, the Carnton Plantation. 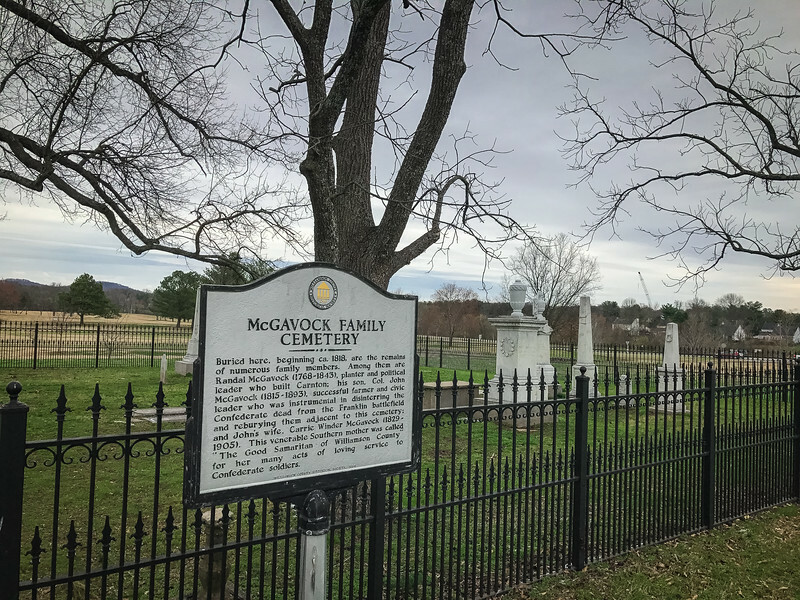 If you have more time in Franklin, be sure to visit all three in addition to other spots that are scattered around the town that played an important role in the Battle. As you can see from our pictures, we saw the Carter house twice during a light snowstorm and then the following day when the weather was perfect. Can you imagine fighting a battle in snowy conditions? 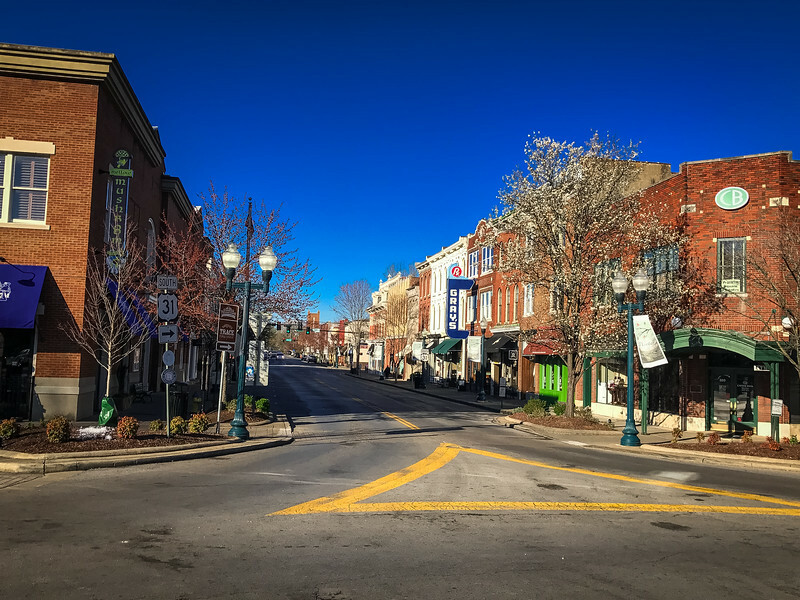 Having spent our first day in Franklin learning about the history surrounding this town, we decided to head to the renowned historic downtown vicinity to walk around and explore some of the fine architecture that lines the streets. 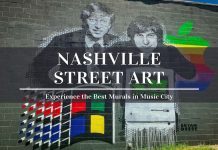 Not only can you stumble across some gorgeous architectural designs, you will find a number of boutique establishments, a variety of local restaurants and even the vibrant sight of the legendary Franklin Theatre. Be sure to check the theater listings ahead of your visit because it’s well worth considering spending an evening watching a production in this historic venue. 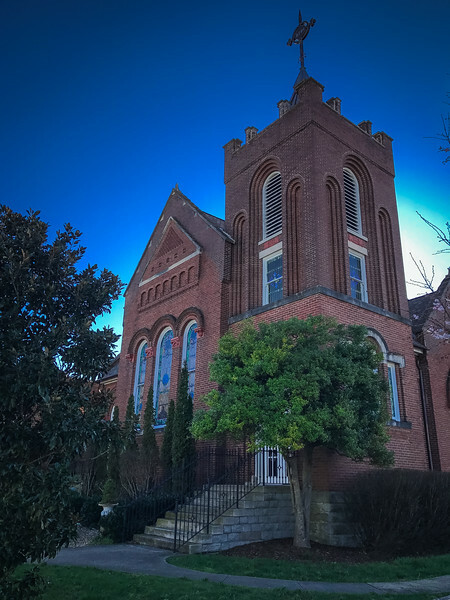 Our journey around downtown Franklin started at the corner of Main Street and 5th Avenue as we admired the gorgeous sight of the Historic Franklin Presbyterian Church. You will find plenty of free parking on Main Street or alternatively, there are parking garages that offer free parking. It’s a refreshing sight to visit a location that offers this, as frequently you are trying to find somewhere that is affordable and secure. 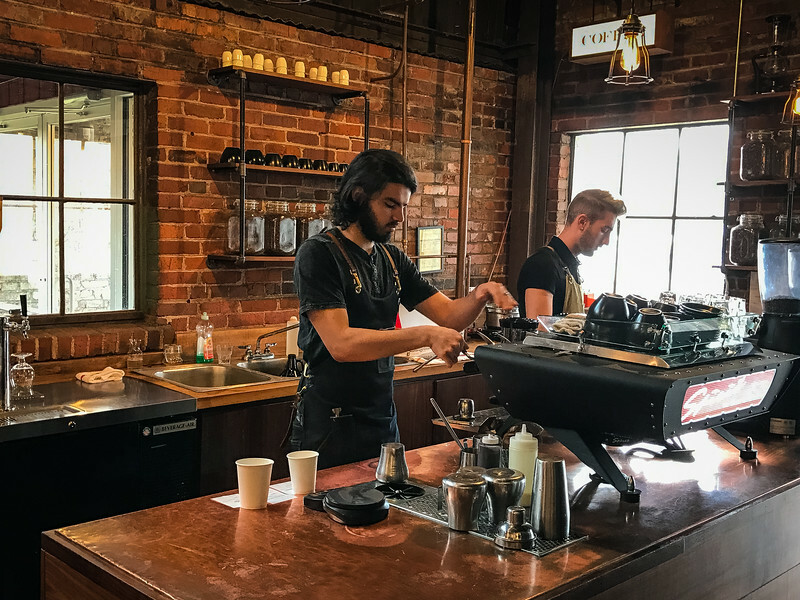 Why not start your morning by heading to the wonderfully named Frothy Monkey to sample your favorite espresso before heading to Main Street to enjoy a couple of hours exploring the finest local merchandise? Walking along Main Street, we visited a couple of stores that offer quirky souvenirs and gifts to remind you of your visit to Franklin. 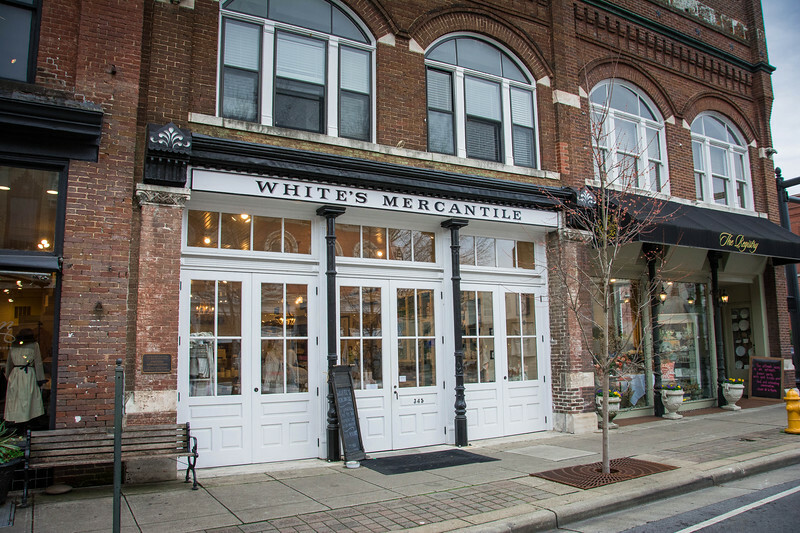 One of the best has to be White’s Mercantile which is described by owner Holly Williams as, “a general store for the modern-day tastemaker”. Another store along Main Street that may capture your attention include Seersucker Candy Co. where you can enjoy local, handmade candies. 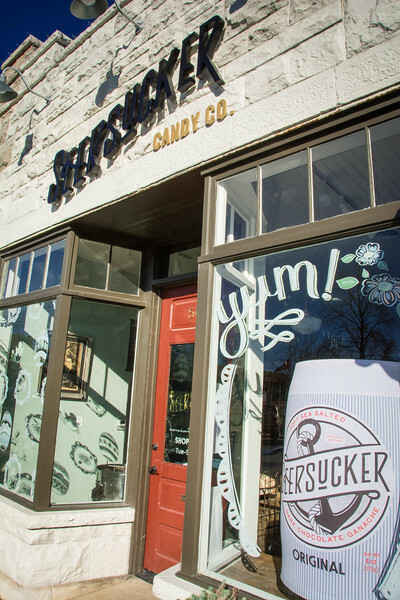 Advertised as selling “classically curious confections”, it’s no surprise that visitors to Franklin always find time to pay Seersucker’s a visit. 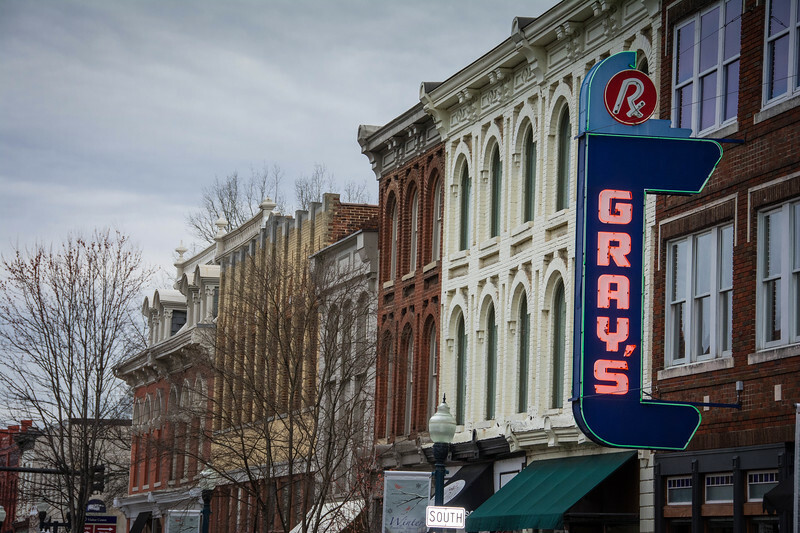 If you are ready to enjoy a bite to eat, Gray’s on Main is a popular restaurant with a vast menu to choose from to satisfy all appetites. Perhaps a little Irish cuisine at McCreary’s Irish Pub is your preference or maybe you are salivating over the various pizzas available at either Mellow Mushroom or Pieology Pizzeria. Regardless of the choice you make, I think it’s fair to say you won’t be leaving Franklin hungry! 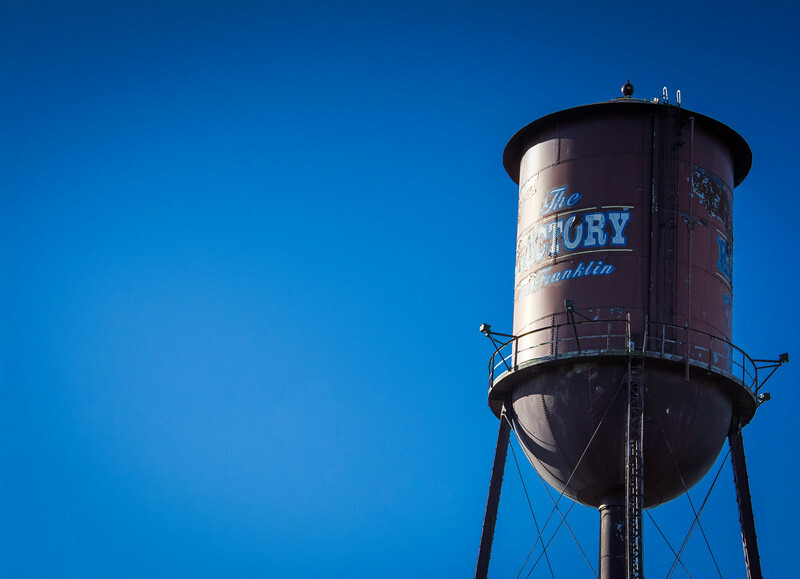 When you start discovering the beauty throughout Franklin, you will notice that there is a quirky side to this town, especially if you choose to visit The Factory at Franklin. 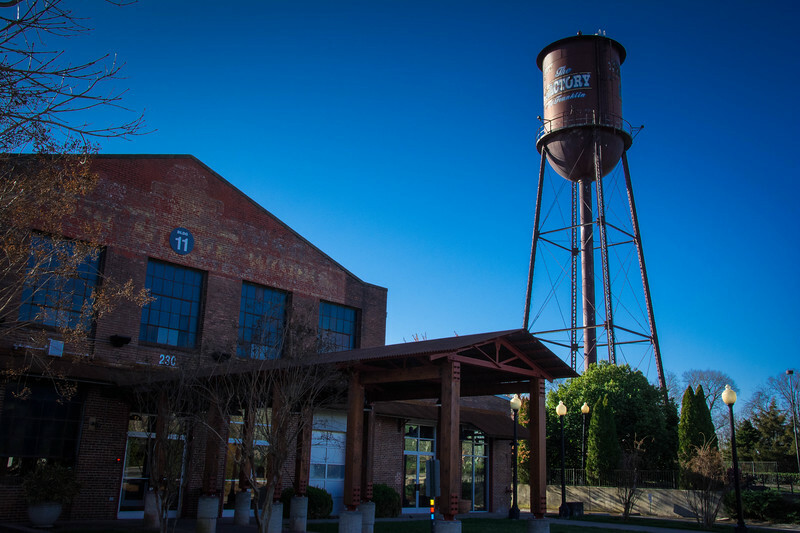 What was once an old, dilapidated factory has since been transformed into a large retail space and is a real focal point of Franklin that attracts visitors from all corner of the globe. 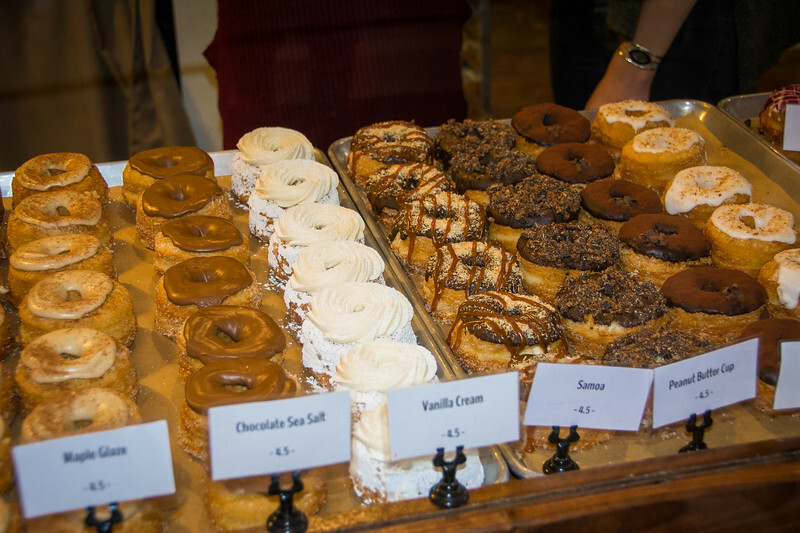 A visit to The Factory wouldn’t be the same without sampling Franklin’s iconic donut shop – Five Daughters Bakery. 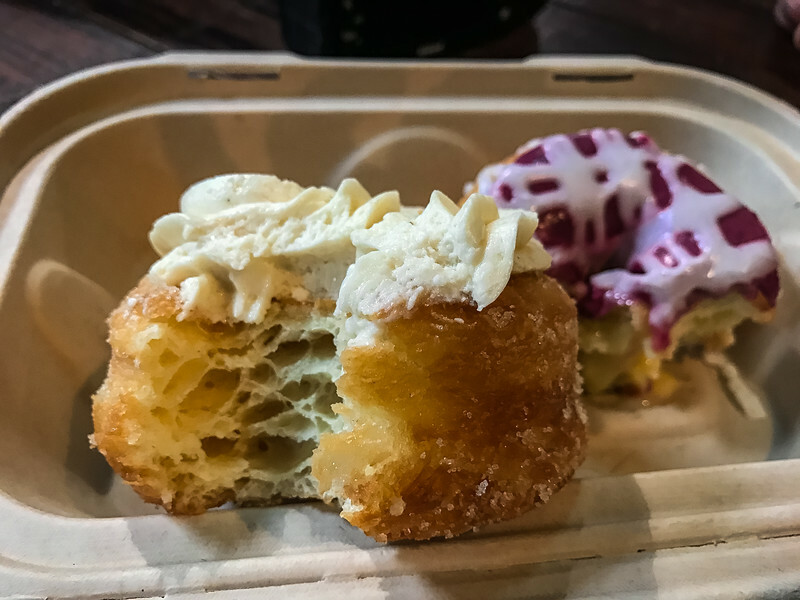 Admittedly, at $4.50 each, they are not cheap but as a luxury delicacy, they are worth indulging over at least once during your visit to Franklin. Meanwhile, a short walk from this bakery offers visitors the opportunity to sample a fine coffee house. 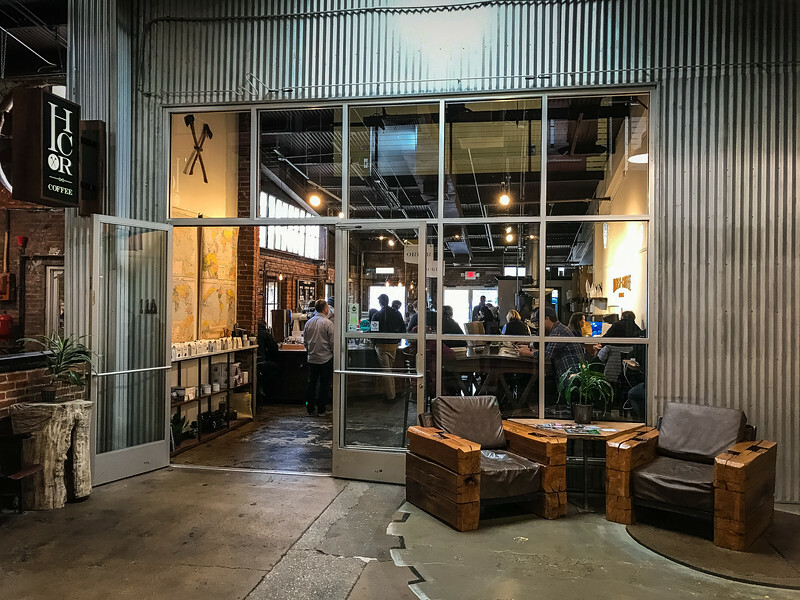 Honest Coffee Roasters is a trendy spot to just ‘hang out’ and enjoy a freshly brewed coffee or latte before spending more time exploring the boutique establishments scattered throughout The Factory. 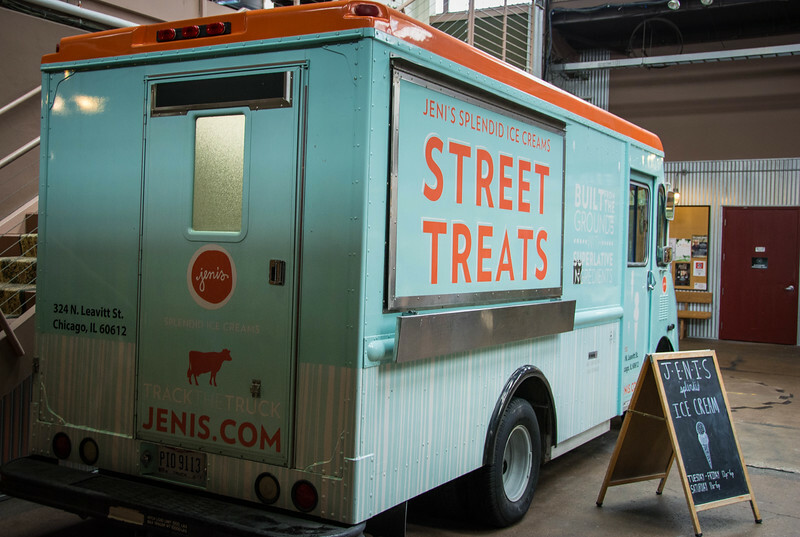 Ready to explore a different part of Franklin? 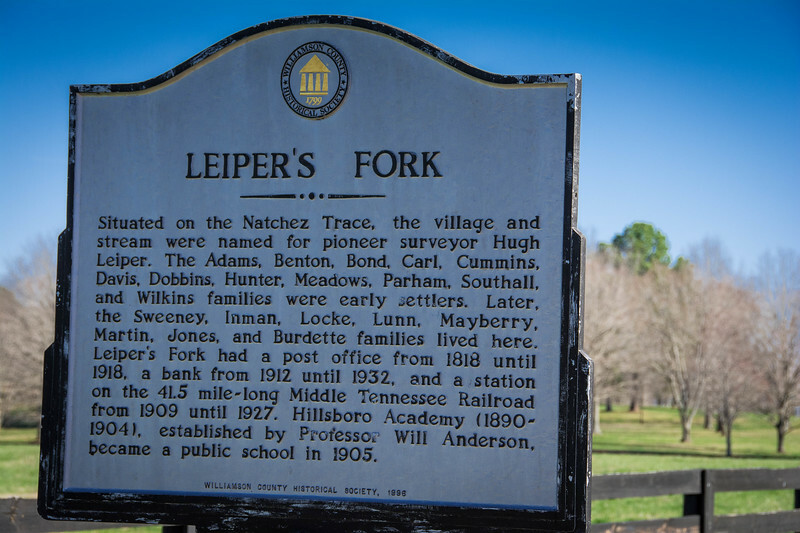 Just a short drive into the Tennessee countryside from downtown Franklin is the rural village of Leipers Fork. When we first arrived here, I have to admit that both of us were a little surprised at just how small Leipers Fork really is. However, after parking in front of one of the local stores, we quickly found out that despite the small size, this town certainly offers a lot for visitors to the area. 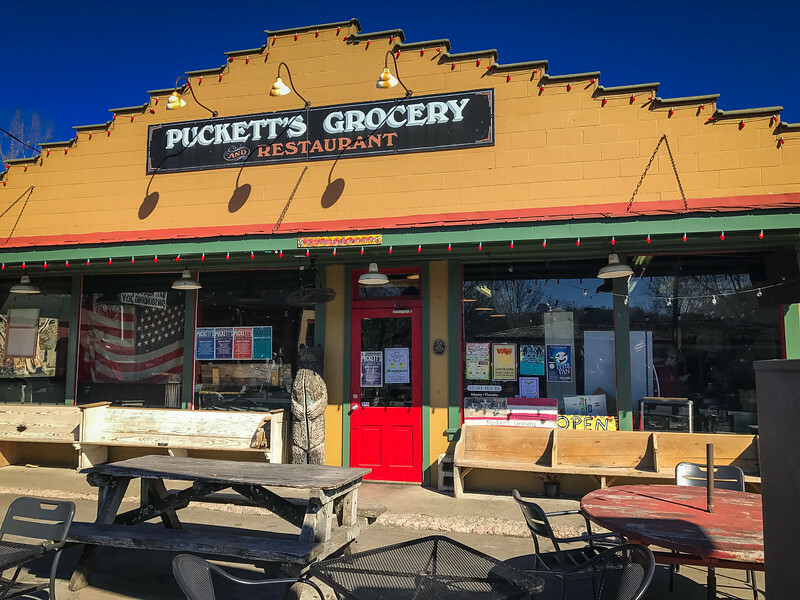 The popular hangout spot for visitors and locals alike is Puckett’s of Leipers Fork. This local grocery store is more than just a place to grab a loaf of bread or soda. Instead, it’s a restaurant where you can grab a quick meal and also a popular hotspot for live performances on the stage inside. 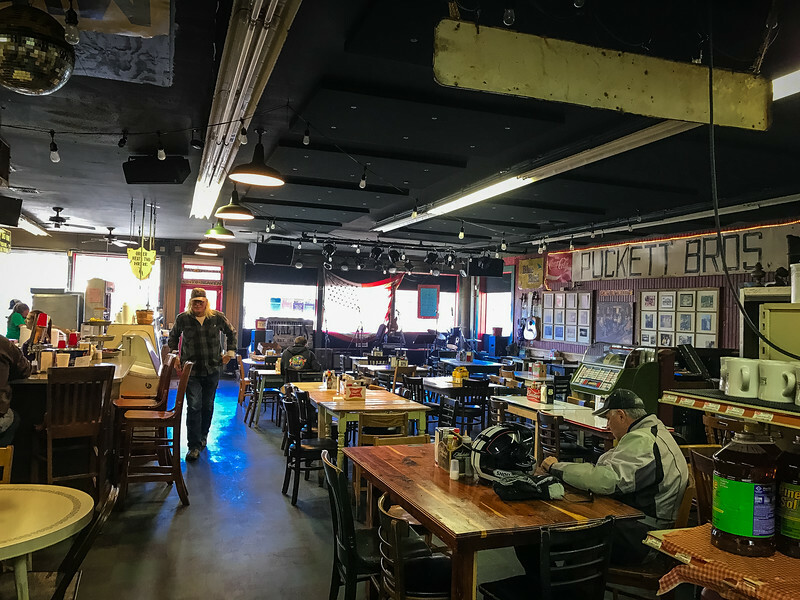 Many famous artists that live in the region have been known to pop into Puckett’s and perform a number or two to the delight of visitors. Visiting on a Sunday morning meant that it was relatively quiet apart from a few locals and bikers that were passing through Leipers Fork. 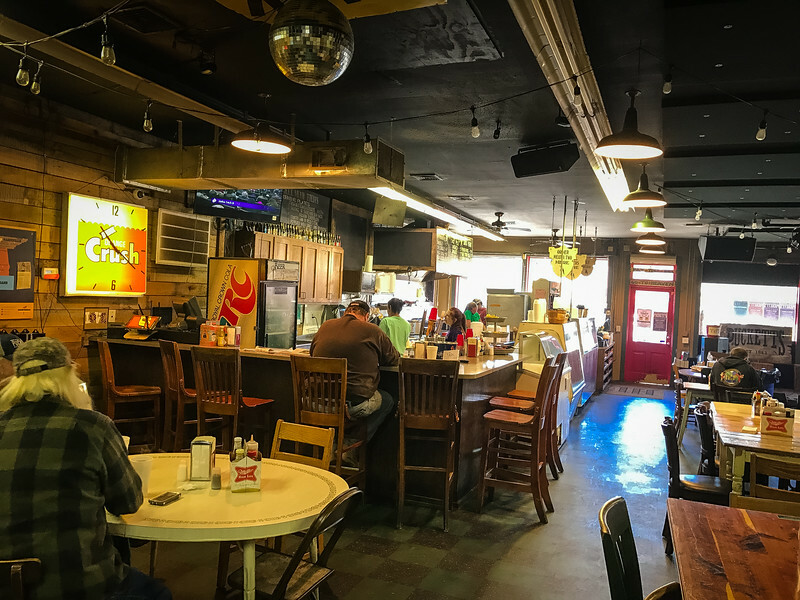 Puckett’s may not be the most aesthetically appealing sight when you enter the store but don’t let this fool you! 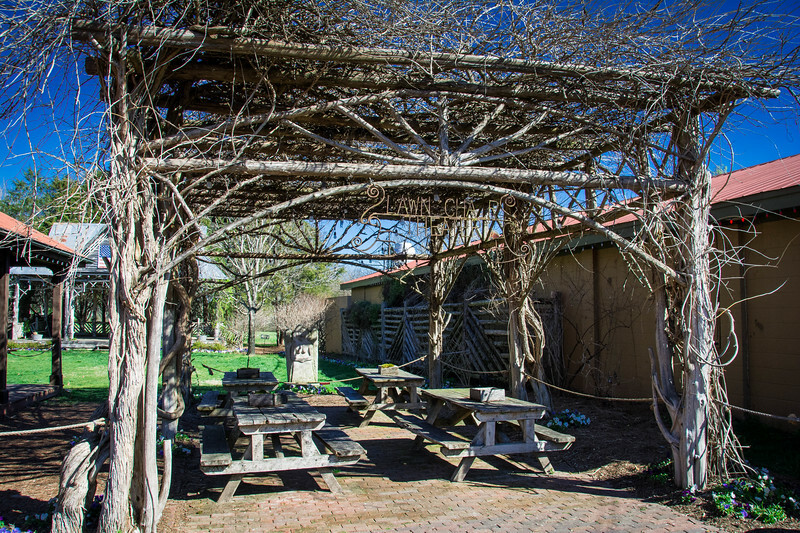 Delicious food accompanied by a variety of drinks make this THE place to visit when you are in Leipers Fork. 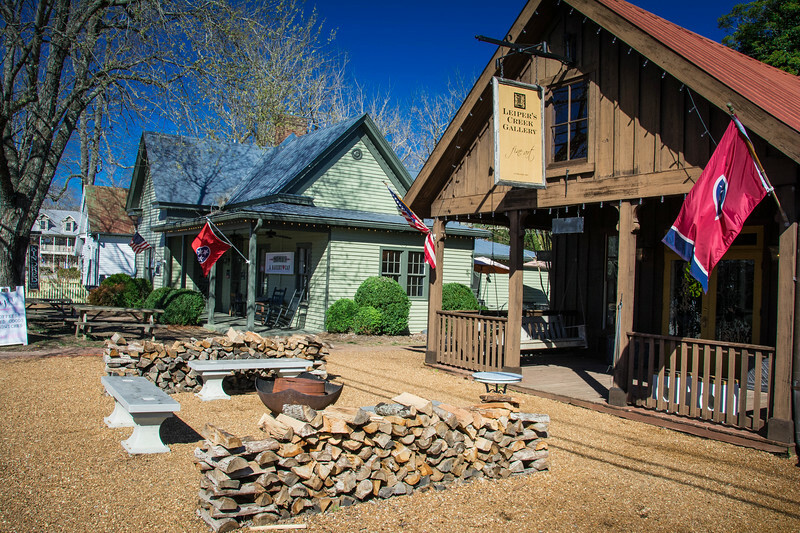 I can’t imagine that you would need more than a couple of hours to explore everything that Leipers Fork offers but as you are heading back to Franklin, be sure to check out Leipers Fork Distillery to sample some local whiskey. 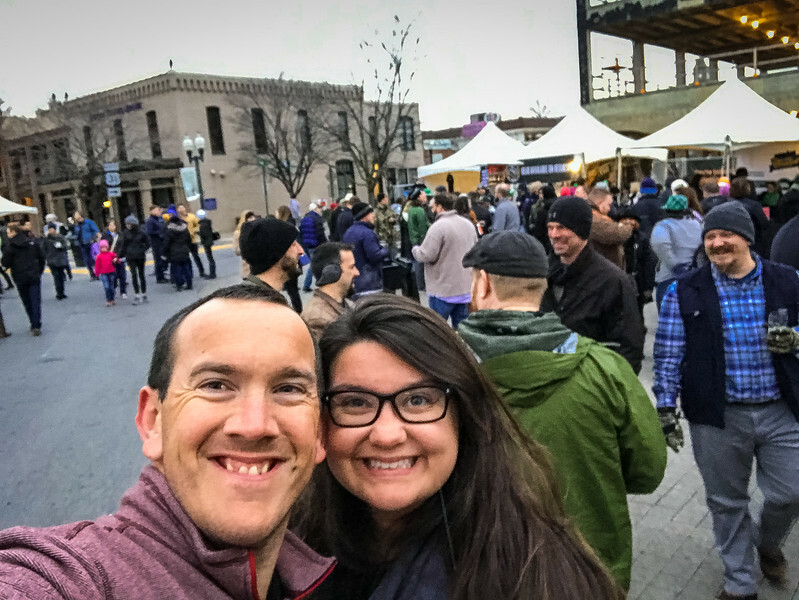 Our main reason for visiting Franklin was to experience the 14th annual Main Street Brew Fest event that takes place in the heart of downtown. Over 80 local craft beers are available for sampling from more than 35 different vendors aiming to attract your attention and inspire you to drink more of their beverages. 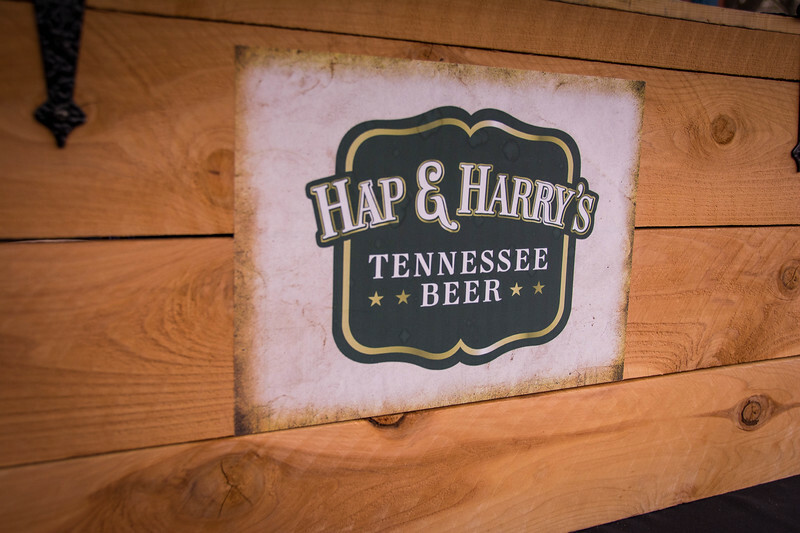 Main Street Brew Fest is more than just a craft beer drinking experience. 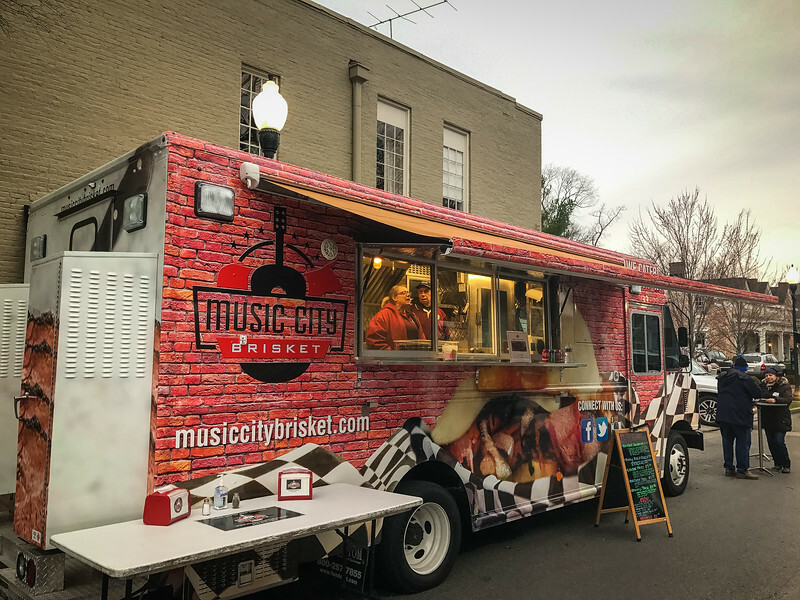 With a number of local food trucks offering a plethora of delicious cuisine, along with music and entertainment (Boomerang were the entertainers in 2017), Franklin hosts an annual event that I am convinced will continue to grow in the future. We had an awesome time sampling some of Franklin’s finest local brews and we will be putting together another post focused specifically on this event as we can’t wait to share many of our favorite brews with you. Just to let you into a little secret, not only were the craft beers amazing, the various ciders and even sparkling alcoholic water were not to be missed! 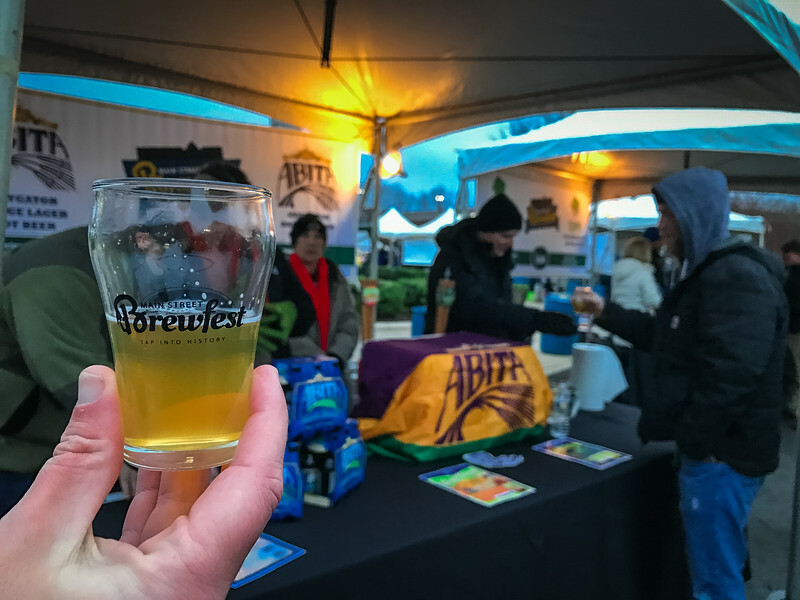 Be sure to check out our post on the Main Street Brew Fest in Franklin to get some more inspiration on Franklin brews you have to try. 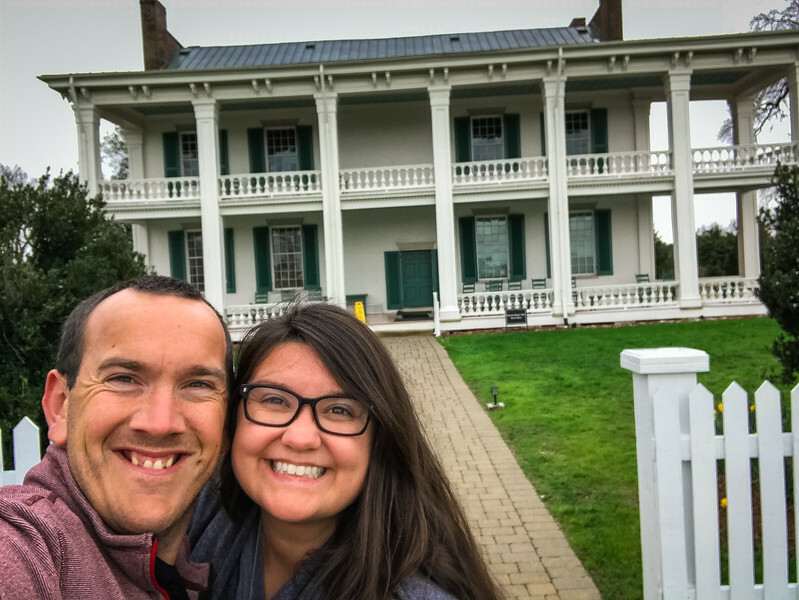 Yet again we experienced a hectic but enjoyable weekend and I am sure you will be ready to add Franklin, Tennessee to your list of destinations worth visiting. 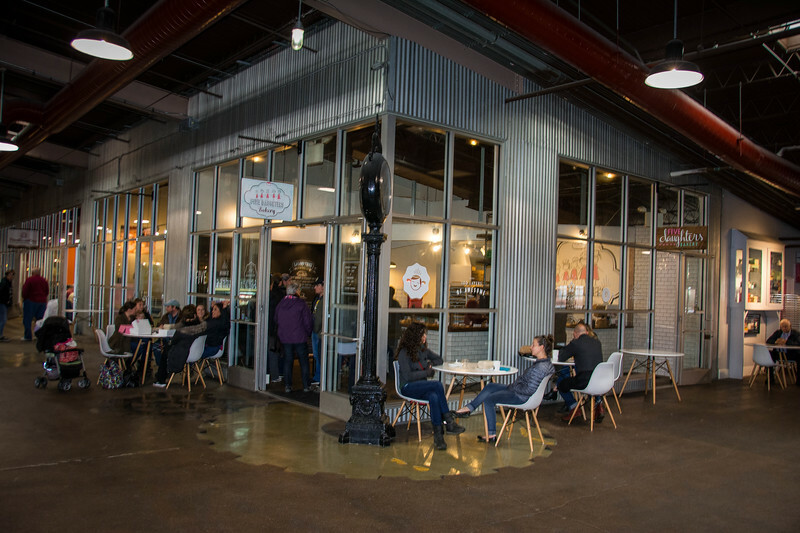 We have been frequent visitors to Nashville and although we have spent some time at Cool Spring Galleria, Franklin has frequently fallen under our radar as I am sure it does with many others. 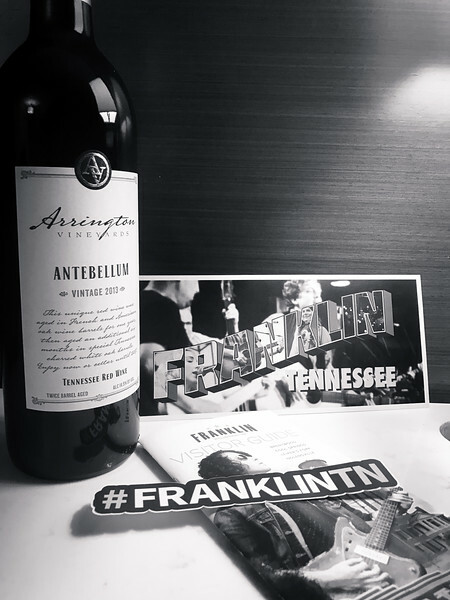 However, having spent the weekend experiencing everything we shared above, I think it’s fair to say that Franklin is now right where it needs to be on our radar and we are already raring to head back and experience more of this historic town. 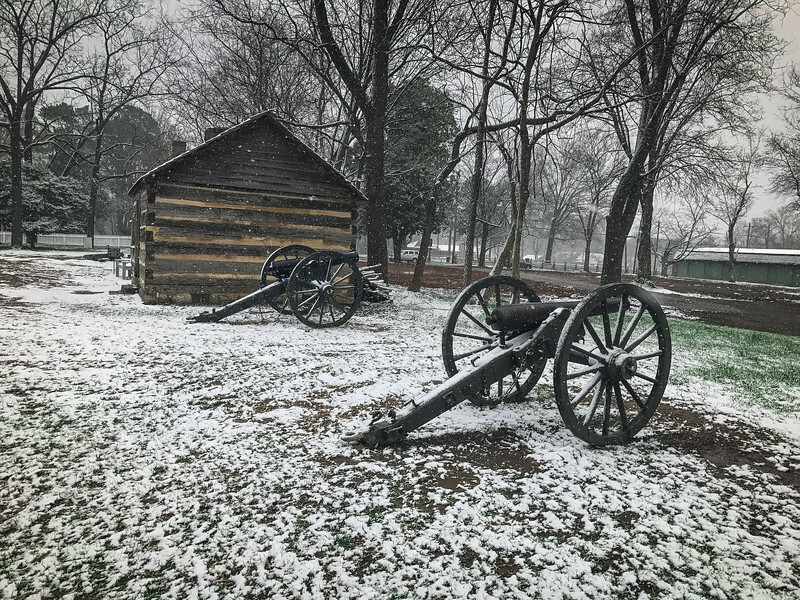 Franklin is obviously famous for the historic battle and I love how the community has embraced this through the various civil war sites that are open to the public today. 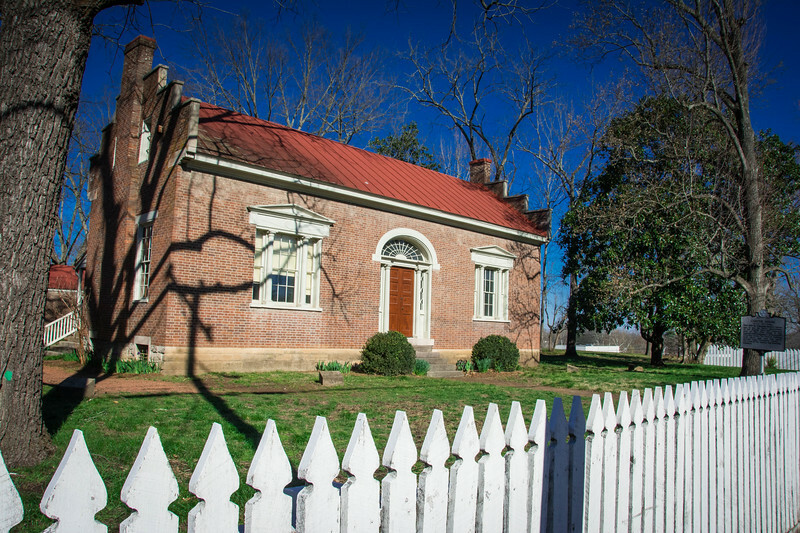 But as we noticed, it is more than just a historic location and there are plenty of things to do in Franklin regardless of your interest in civil war history. 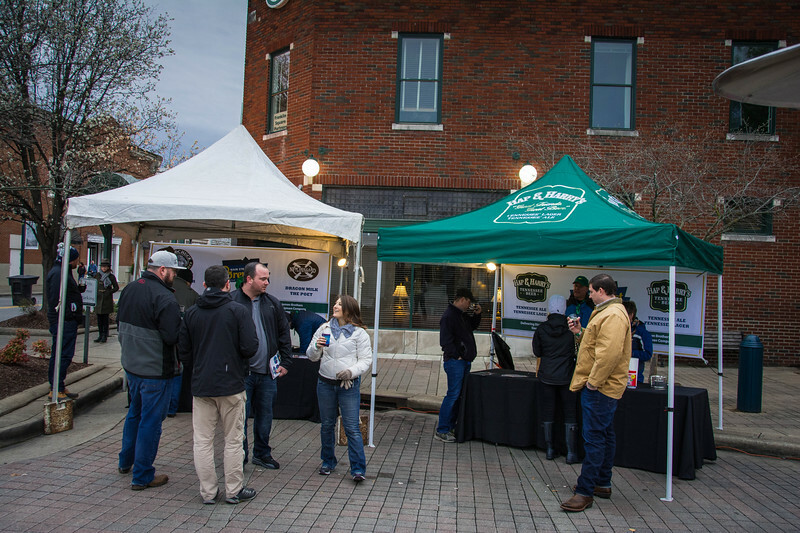 We hope that you are inspired to visit Franklin in the near future and perhaps we will see you at the 15th Main Street Brew Fest in 2018 as we already can’t wait to sample more of those delicious brews! Disclaimer – We would like to thank Visit Franklin for hosting us on this trip. These are solely our personal opinions/experiences and we were not financially compensated for this post. Williamson County is beautiful and has a lot to see. Definitely agree with these comments Bob! We had a great time in Franklin and the surrounding area. 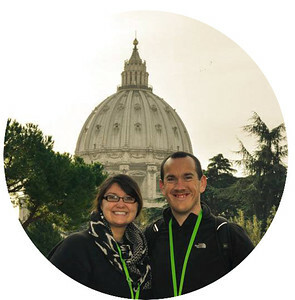 Great blog post- lovely pictures and very informative. The blog itself is incredibly professional. I have dipped in and out of blogging over the last few years, but i’m determined to keep this one going. Good to hear from you mate!! Thanks so much for your generous comments about our blog, it’s been a lot of work over the years but we are really happy with the progress we have made. It’s definitely a rewarding pastime but very time consuming! As always, let me know if you need any hints, tips or guidance as you move forward with your blogging career. I was in Franklin maybe 6 years ago now, and for the life of me I can not remember a thing that I saw or did???? I need to get back and see what you saw. Marvelous information and gorgeous photos with great writing! Thank you! Check out The Dr. Sugg Legacy page on Facebook. He was the man who donated Carnton in 1977, saving it for posterity. He and his wife had purchased the home and property in the 1950s with the intention of refurbishing the home and retiring there. 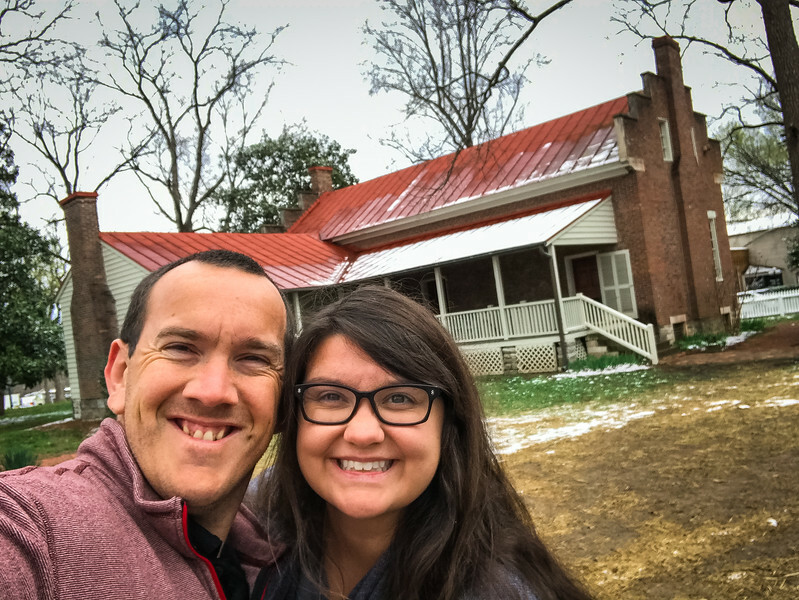 The Sugg Family lived in the area from the early 1800s and Dr. Sugg’s grandfather was actually captured at the Carter Cotton Gin during the Battle of Franklin. Great post Chris, so much info and great photos as always. Especially liked the snow dusted canon scene – beautiful. Franklin definitely look like somewhere C and I would enjoy visiting. We much prefer the quaint outskirts towns to the big cities. It seems Franklin offers a real taste of classic Americana and with the Brewfest in March it would be right up my street! Love that the beer culture is growing in so many parts of America these days. It’s a great way to dive into the local communities and meet small business owners. They are the backbone of so many of the great American cities. My mom, sister and I spend a delightful afternoon in Franklin several years back. We shopped and ate at Puckett’s. Everyone was so friendly! I’ll go back anytime I’m in the area. What a magical place. It feels like paradise. I’m going to put Franklin on top of my list of places to visit.